Import Character (model & animation) into CryEngine - use Blender or Maya? I have tried 2 method to import a character (model & animation) into CryEngine. This seems kind of easy and straight forward, just tweak the fbx file a little with Blender, then import this fbx file into CryEngine with CryEngine Sandbox FBX importer, I try and success at first time. It seems CryEngine is heading toward friendly Sandbox FBX importer. This is really hard (I struggle a lot, at this point I still not completely success importing to CryEngine with this method), plus it can destroy my model when I zero out the rotation with Cry Tools Also I have to re-target the whole animation set because after I zero out the rotation, the original animation is all mess-up. At this time, I still got problem with the model in CryEngine, look like it require a screen root node or the body part just float around. Using Blender is easy to import character into CryEngine, but will it optimize for my game? because Fbx import won't know which component it should take and which it should leave. Using Maya is hard to import character into CryEngine, but will it really better than using Blender, because I see that the FBX importer is so advanced while the CryTool for Maya is (I guess) under-developed?, CryTek even leaves junk melscript in this CryTool, so is Maya's CryTool better than CryEngine FBX importer? btw, and I'm using CryTools for Maya 2017. Please give me advice, thanks. Re: Import Character (model & animation) into CryEngine - use Blender or Maya? 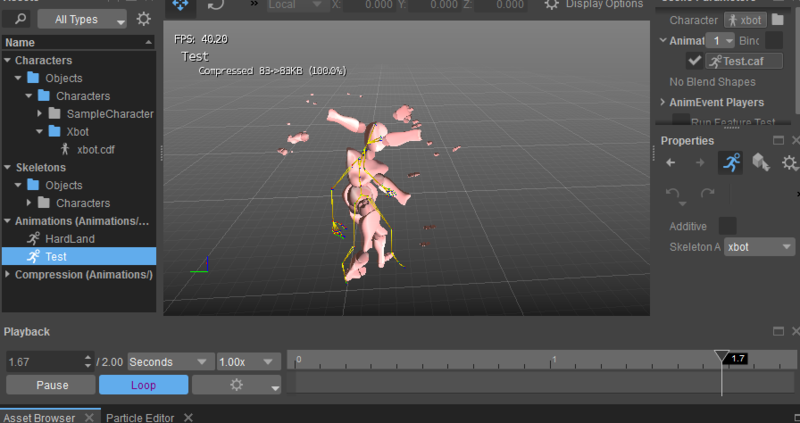 The FBX file directly from Mixamo do not have a root bone and animation will look bad if imported to CryEngine. The FBX file exported using Blender will have a root bone added and fix that problem. If you add root bone in Maya that would fix that problem. There are YouTube guides showing that. There might still be problems when using Maya that I don't have answer for. Im not a Maya user.